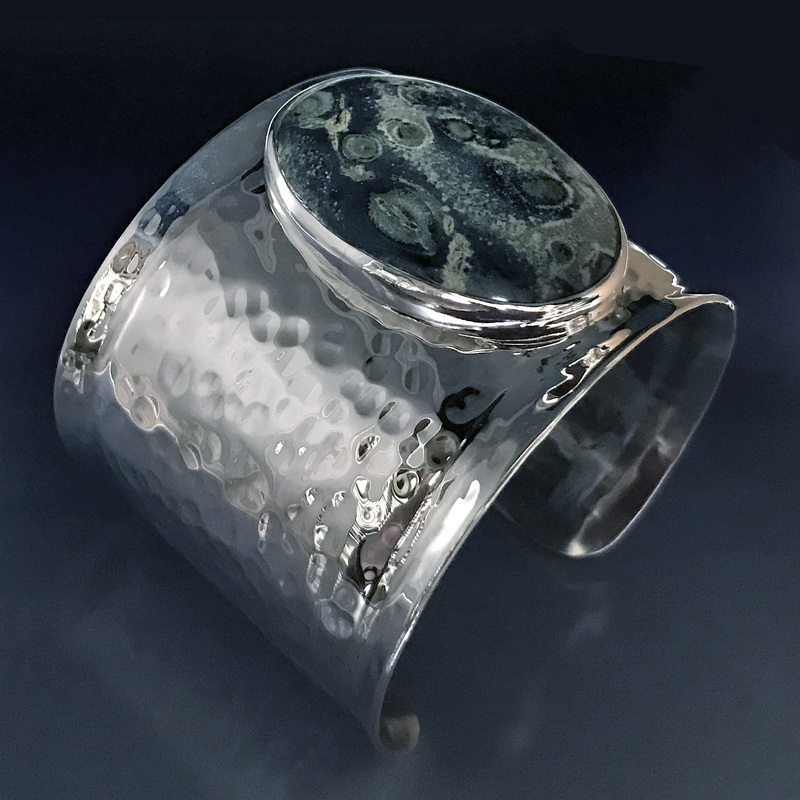 Modernist Jewelry - This is a wide handcrafted statement bracelet hand-formed from 18 gauge sterling silver with a beveled rim on the edges. 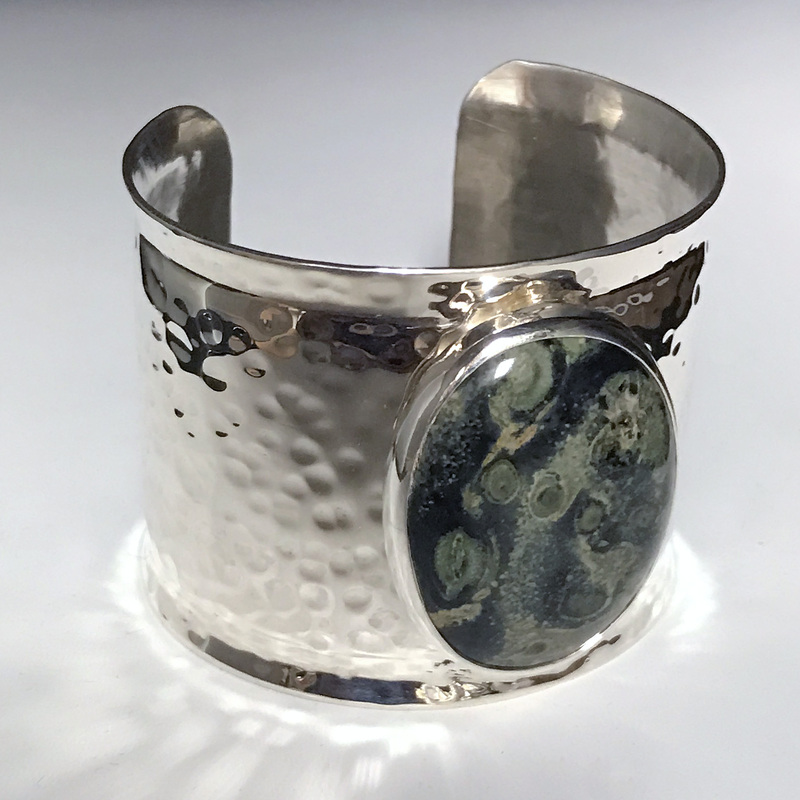 This dramatic cuff is hammered and features a large oval African green and black Kambaba Jasper cabochon. 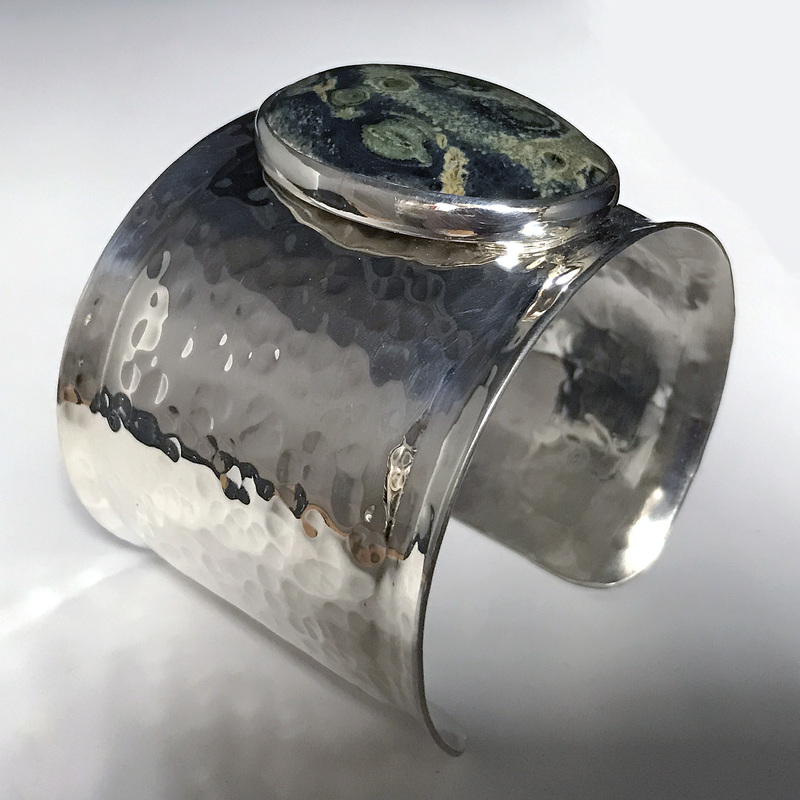 This is a bold and beautiful wide hammered cuff bracelet with a beveled rim on the edges. 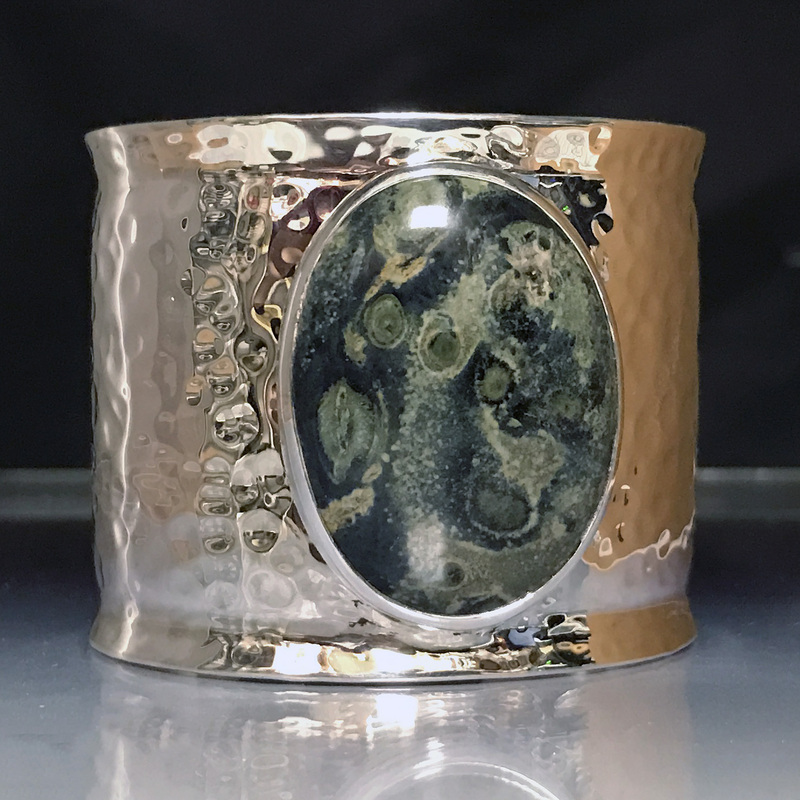 This slip-on bracelet features an interesting natural large Kambaba Jasper cabochon. The Kambaba Jasper, a fossilized algae, comes from Africa. 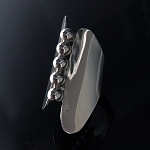 This is a One-of-a-Kind, but we can recreate the bracelet with other stones in other sizes and widths. This statement bracelet measures 2"wide. The Kambaba Jasper is approximately 1.5" long x 1" wide (40mm x 30mm). This Bracelet fits a 7.25” or smaller wrist, but can be spread for a larger wrist.